A fun and all inclusive game. Using a steady hand try to build the tower up brick by brick without making any blocks fall. Jenga is played by taking one block out of the tower at a time & placing it on top. 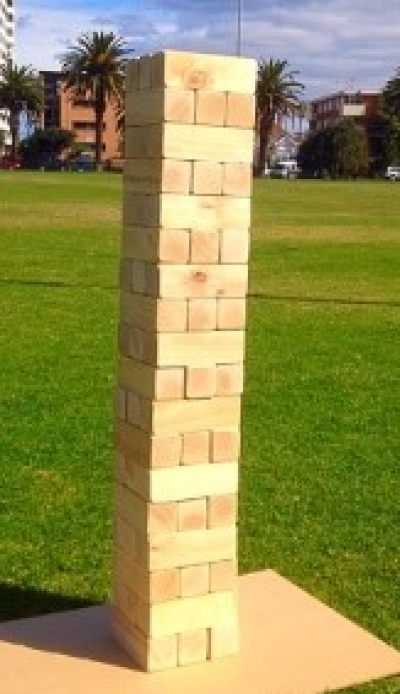 The game ends when one or more blocks fall from the tower. You can make it harder by adding in rules such as only using one hand, play each turn with one eye shut or even both eyes shut for a bit of a laugh. A very fun game that everyone can get involved playing together. Recommended for ages 10 and up due to the height of the game.